Of course, it is no surprise that I would write about food following my post about fat people and body image. 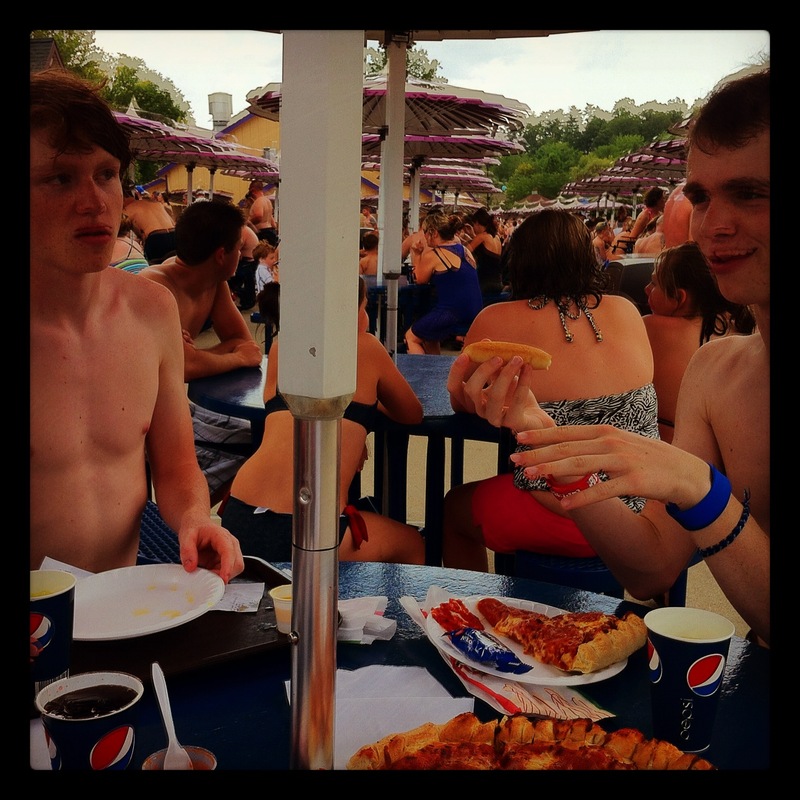 Holiday World does not disappoint when it comes to its food options. The park offers plenty of places to eat and many more places to get a drink on a hot summer day. 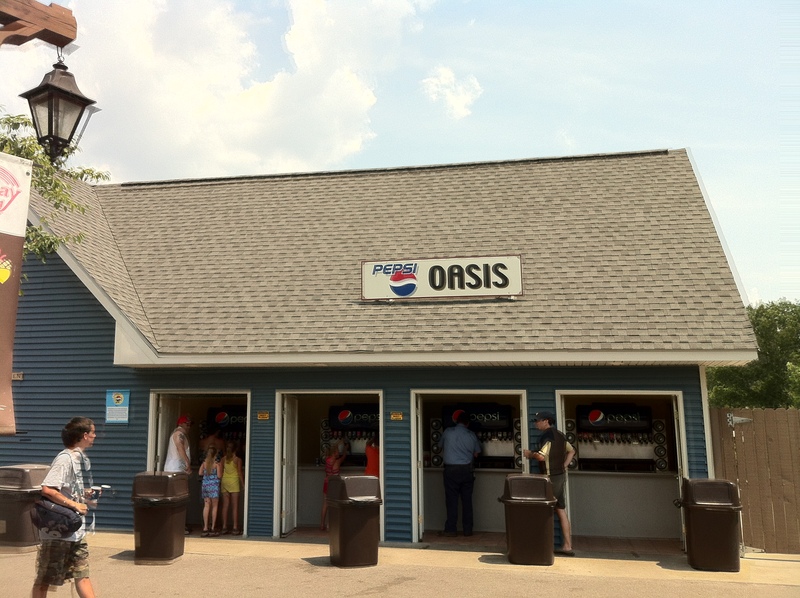 Free soft drinks are found in any number of the Pepsi Oasis locations placed around the park and the only limit to how much you can drink is the line of people waiting their turn. Whether you are visiting the Alamo in 4th of July Land or enjoying a giant pepperoni pizza in Splashin’ Safari, you won’t be disappointed by the food. Of course, you are trapped in a theme park that doesn’t allow picnics or food of your own so they have you right where they want you. A large pizza and bread sticks for 4 people will cost you $35 with tax but it does taste awfully good. Throw in the free drinks and you have a pretty good meal. But if you have four of these meals in two days, you’ve broken the budget. 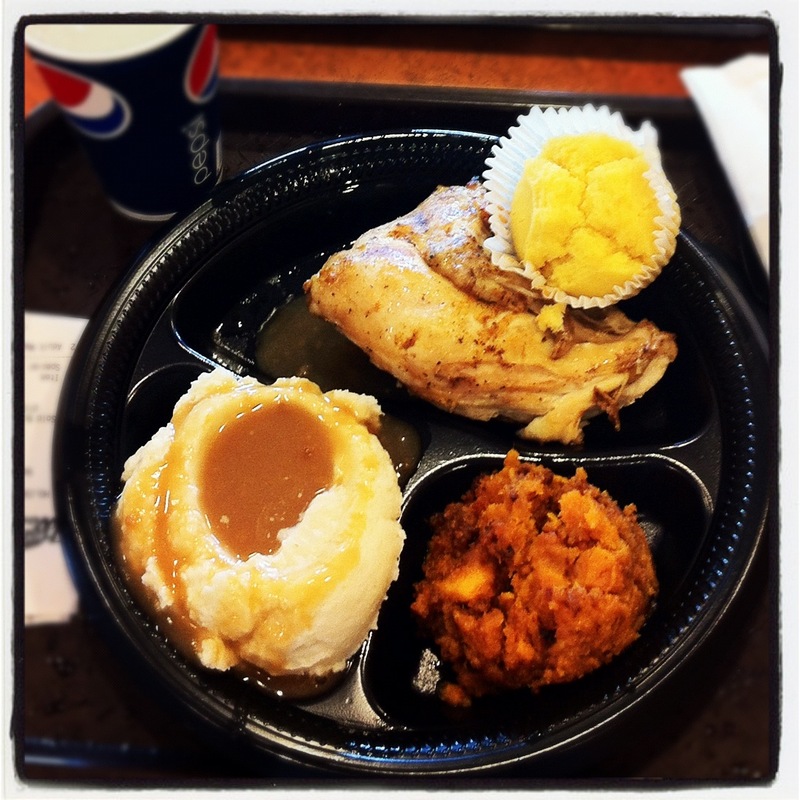 Our last stop during our time at the park was the Plymouth Rock Cafe’ nestled in Thanksgiving Land. 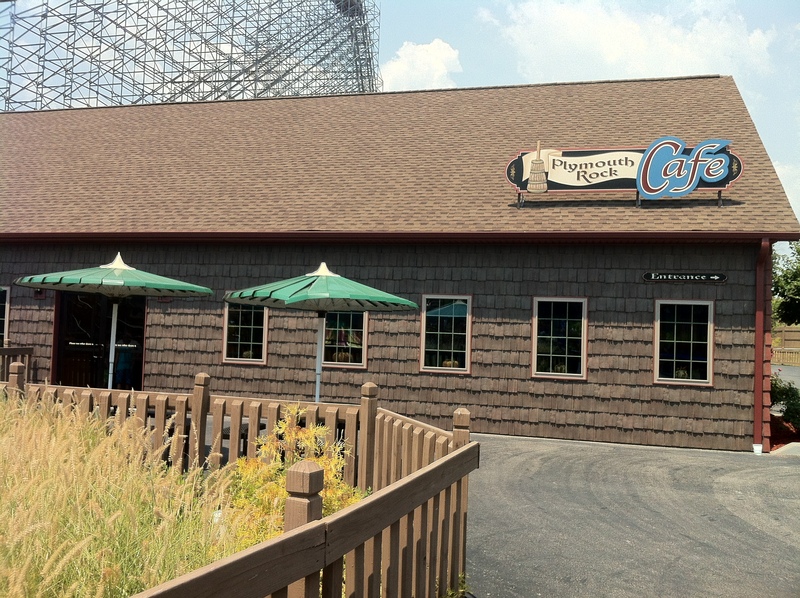 The facility is air conditioned and spacious with plenty of seating and great food. It isn’t really more than a large fellowship hall but the building provided a much needed respite from the heat and a fantastic meal. To say it was better than MCL and the Blue Plate Special doesn’t serve it justice. It was wonderful. Ice cream, free soda (water and Gatorade is also on tap), pizza, hot dogs, chicken, Bar-B-Q, and snacks of every option are available at the park. You will not be disappointed with the food but might need to take out a small loan to afford it.